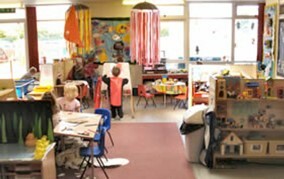 Primrose Lane Nursery is an educational Nursery that provides the next steps for your child and prepares them for their progression through school. Our commitment is to provide children with an exciting, stimulating and secure environment where they can develop at their own pace, becoming independent learners and allowing them to achieve their full potential. 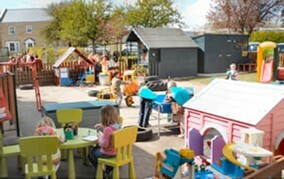 We have constant free flow access to our secure outdoor playground, which is equipped with large-scale resources and areas of learning. • Access to the main school’s enriched curriculum activities e.g. visitors to school, special assemblies. If children require a hot lunch there is an additional cost of £2.40 per day. Children have the option to bring a packed lunch or can pay for hot school dinners. There will also be the option to buy additional sessions subject to availability and these will be charged at £12.60 and guaranteed on a termly basis. Options 1-5 above are guaranteed throughout the year. You are more than welcome to visit us and see our Nursery in action. Simply telephone school and we’ll be more than happy to show you around.